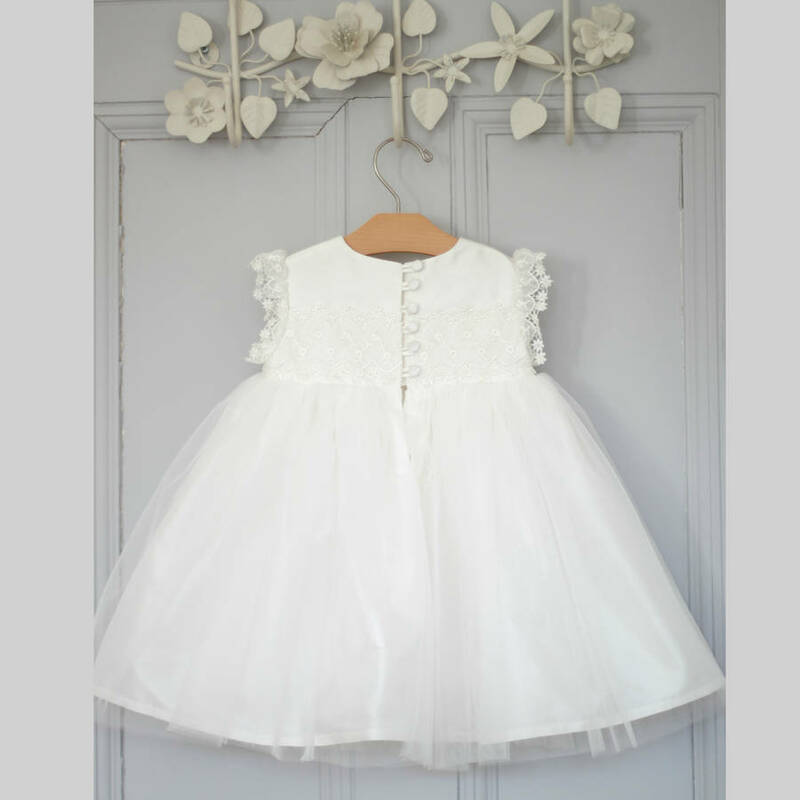 Luisa is a gorgeous ivory silk dupion dress trimmed with a beautiful Venice lace and double layer tulle skirt. 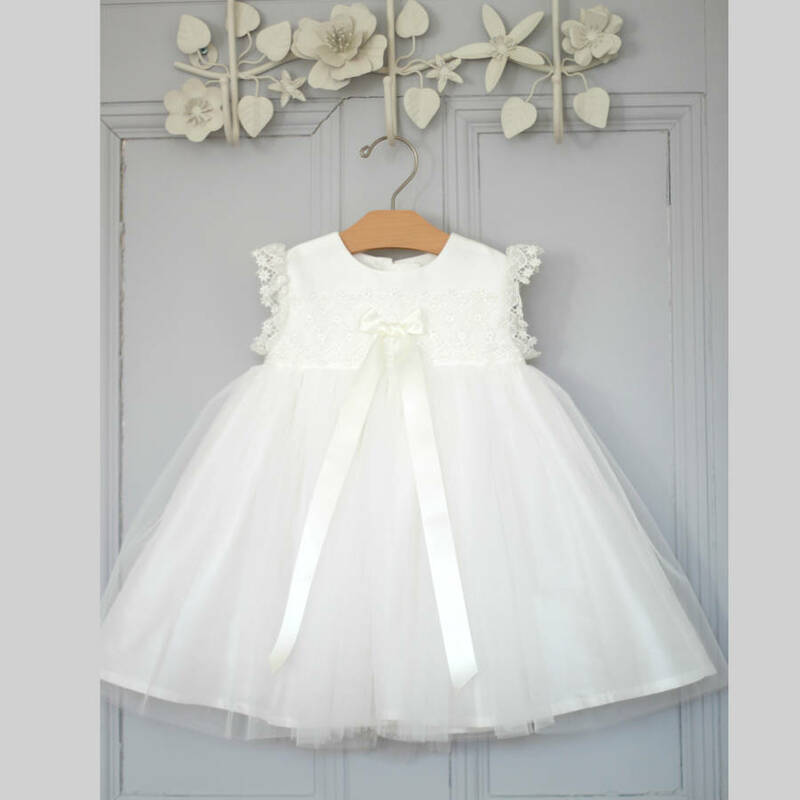 The Luisa Christening dress has been made from ivory 100% silk dupion, with double tulle overlay on the skirt. 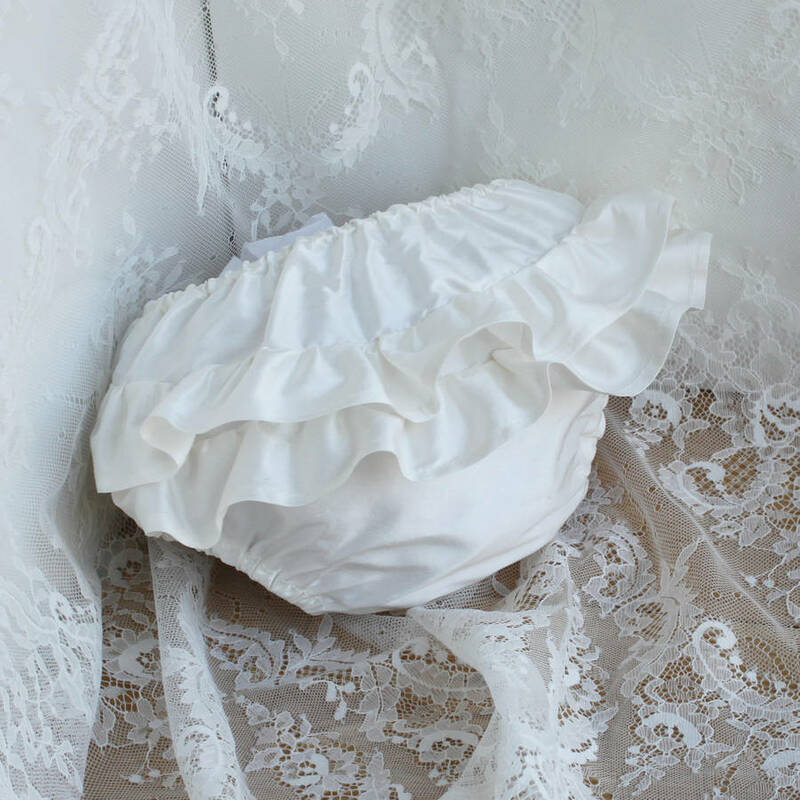 The bodice features a delicate Venice lace that is carried over into cap sleeves. 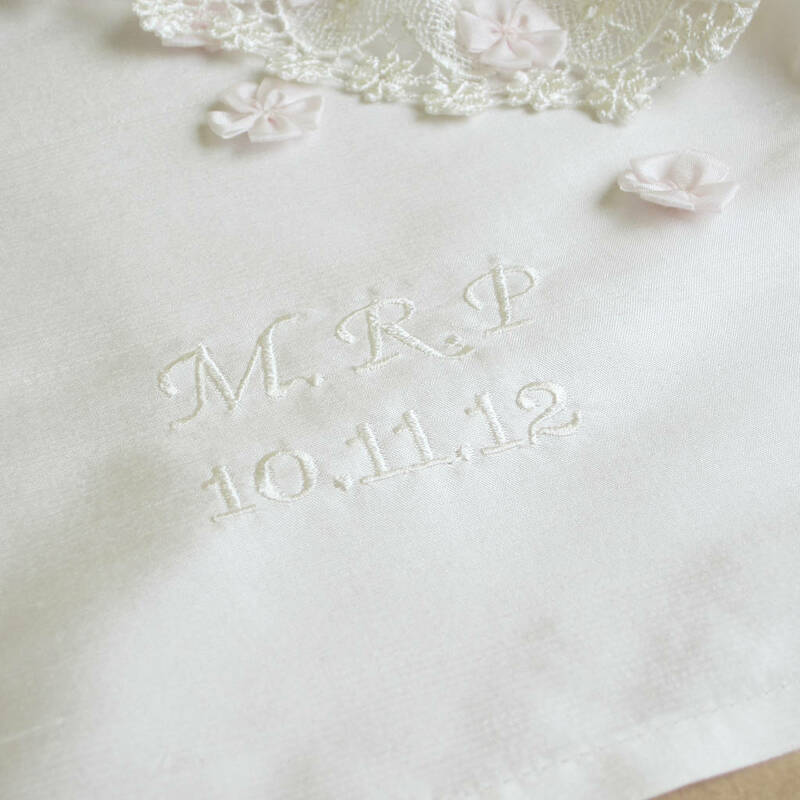 A long satin ribbon also adds a nice finishing detail. The dress is finished with fabric covered handmade buttons and rouleaux loop fastenings. Handmade to order. Fully lined. Price is for the dress only. Accessories are available separately. 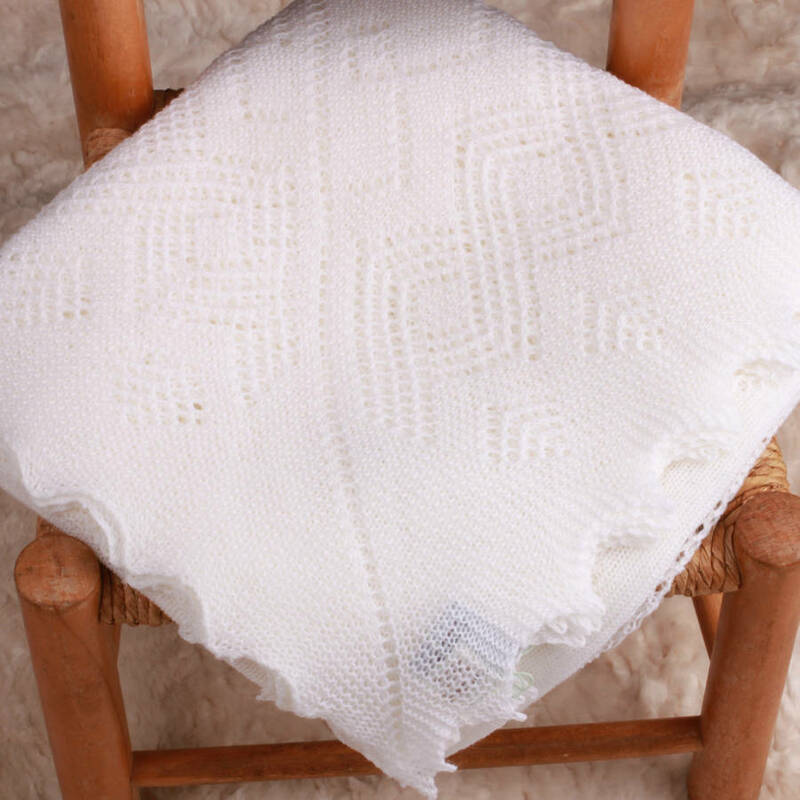 Available in ivory or white. 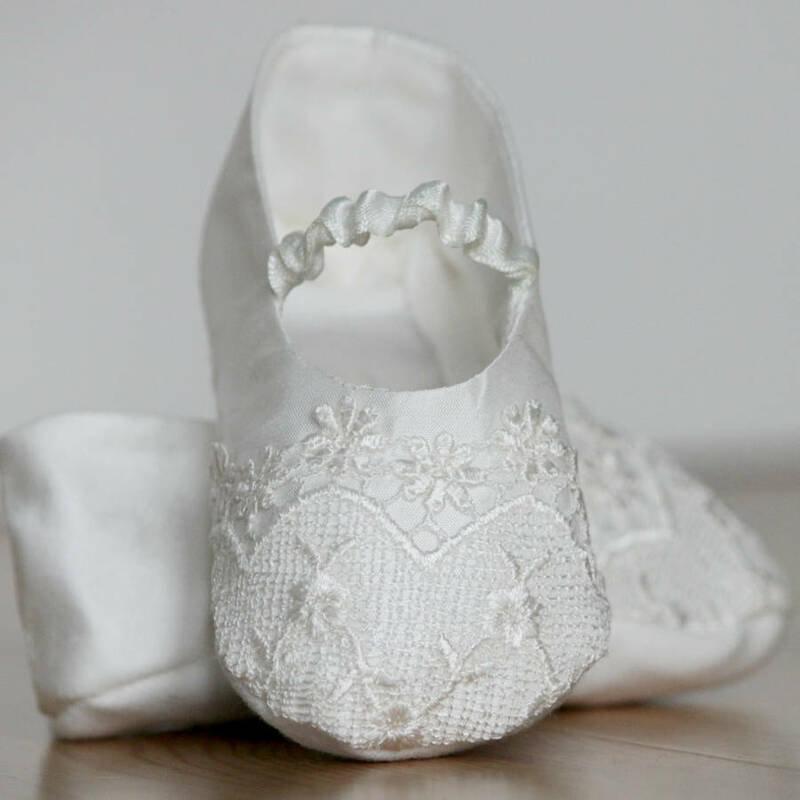 Your Christening dress can be personalised at the bottom of the back skirt with your baby's initials (or name) and the date of the Christening or Baptism or date of birth. 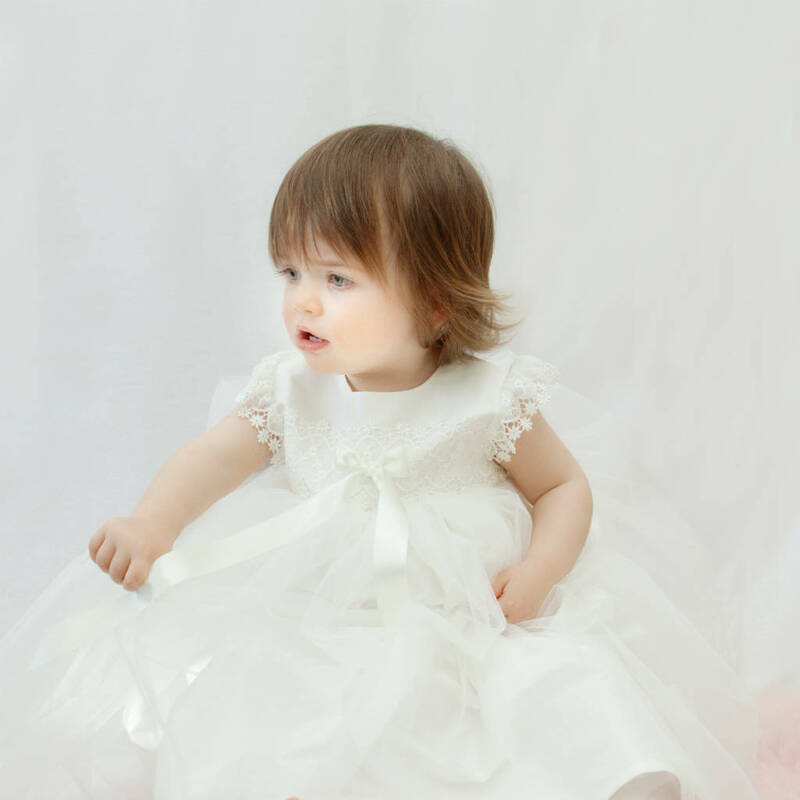 100% Silk Christening dress with a soft polyester lining and soft polyester tulle overskirt. 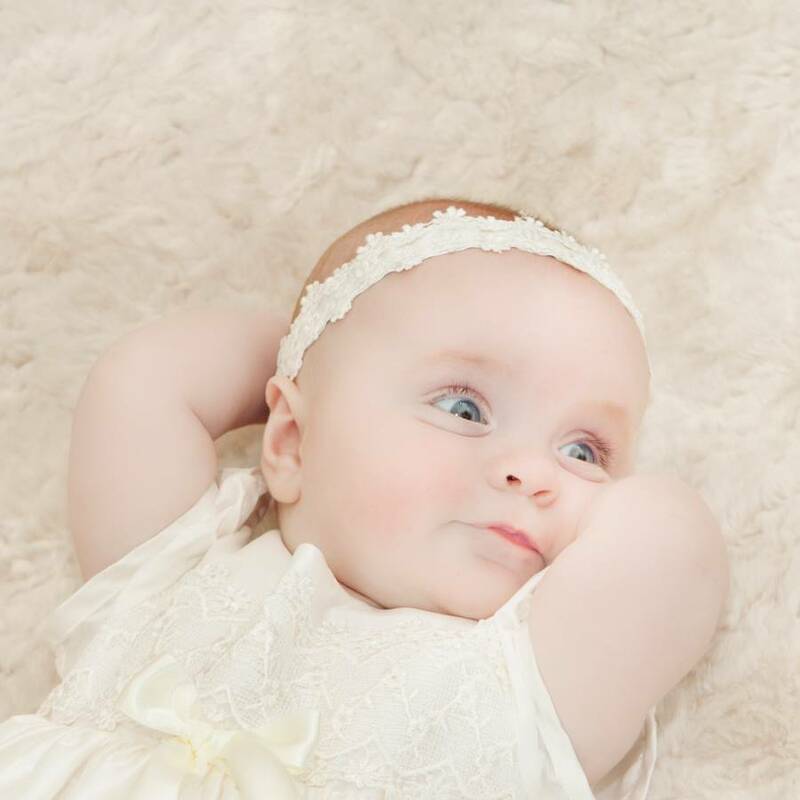 To preserve the beauty of your Luisa Christening dress we recommend dry clean only by a reputable dry cleaner experienced in cleaning wedding gowns. 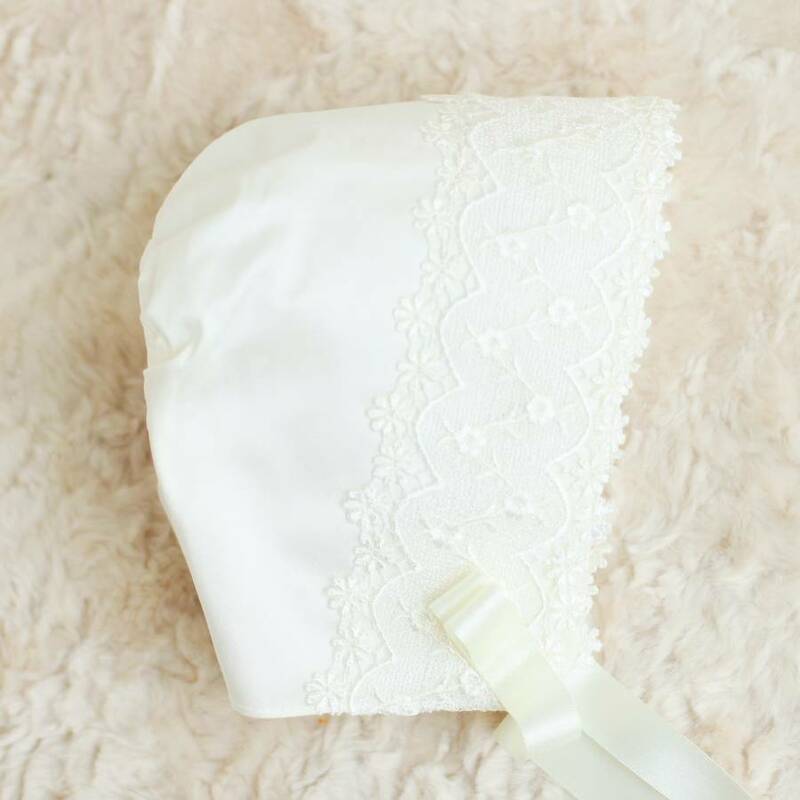 0-3 months (up to 43cm chest), 3-6 months ( up to 46cm chest), 6-9 months (up to 49cm chest), 9-12 months (up to 51cm chest) 12-18 months (up to 54cm chest) and 18 to 24months (up to 56cm) and falls between mid calf and ankle depending on the size of your baby. 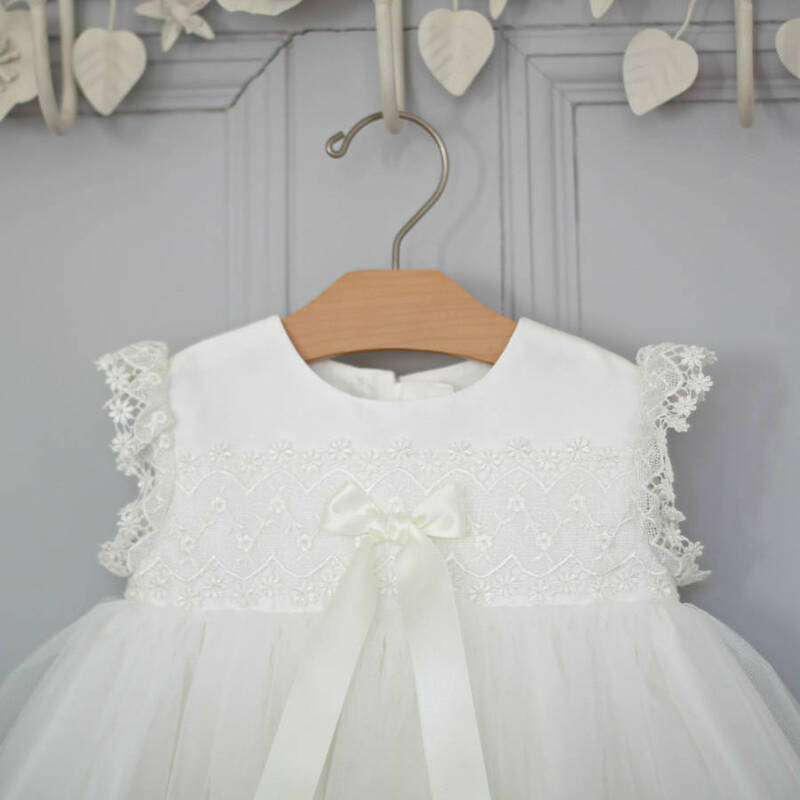 Your Luisa Christening Dress will be sent to you at no extra charge via Royal Mail Special Delivery which is a signed for service. Please let us know if the date we give you is unsuitable and we can arrange a more convenient time for delivery. Please note that delivery dates are estimated only and are not guaranteed.